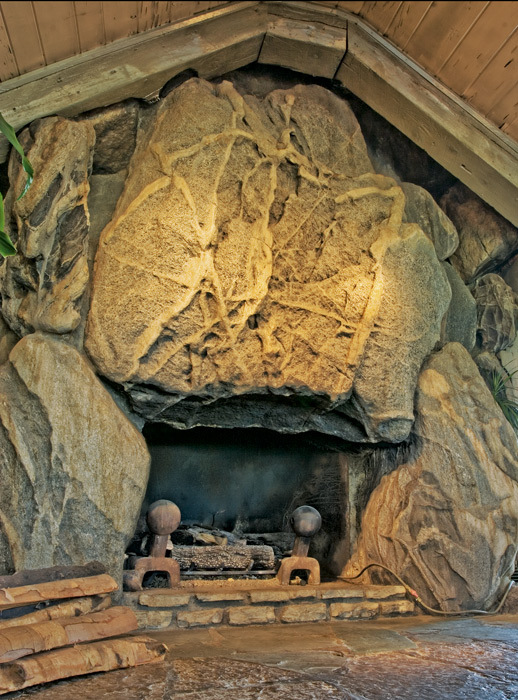 The dominant stone in the Weathervane Inn’s main fireplace was discovered by Young 26 years before he placed it where it sits today. Earl had the stone buried in a secret spot until he found the perfect place to use it. To his imagination, the nine-ton granite boulder closely resembled a map of lower Michigan, including its veins marking major highways.It is said that Earl kept the measurements of the stone in his head all those years but when the stone was lowered through a hole in the rafters, it didn’t fit. Young had an easy explanation – it lay in the ground so long it grew 11 inches. After the stone was finally dropped in place, the floor gave way and had to be ripped out and reinforced with steel beams. Photo © copyright by Mike Barton.